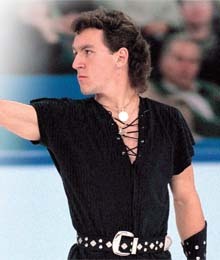 Elvis Stojko is peering out of his office window, directing his gaze towards Mexico’s shimmering Lake Chapala. Surrounded by lush Sierra Madre mountains in the town of Ajijic, Jalisco, the Canadian-born ice icon has found his home in a hacienda-style estate that’s more than 5,000 feet above sea level. “You pretty much see the sun every single day,” he says over the phone, revelling in the dry heat he’s become acclimatized to over the last 11 years. In the cottage country community of 15,000, Stojko has found the warmth and seclusion he’s always craved. “Living life here is very relaxed in a way,” says the three-time world figure skating champion, who savours the anonymity his celebrity rarely sanctioned on the streets of Toronto. It’s been a decade since Stojko officially left the competitive realm, but as he reflects on his remarkable career and the personal and professional spin-offs it elicited, there’s a sense the word retire will never be in his lexicon.